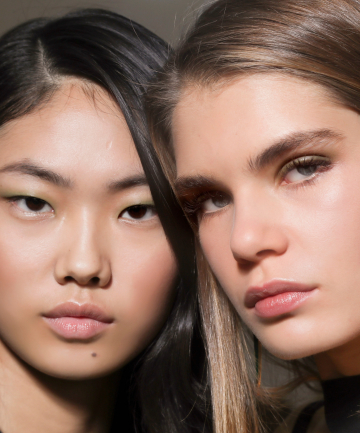 The best tinted moisturizers are a time-pressed gal's best friend. If, like us, you're a fan of products that speed up your morning beauty routine, then you definitely need to add a tinted moisturizer to your makeup bag if you haven't already. After all, these multi-taskers combine foundation and moisturizer, which eliminates the need for time-consuming layering and helps get us out the door in a flash. When on the hunt for the perfect tinted moisturizer, we want something that will soften the skin and keep it hydrated — but we also want some added color, especially for those days we don't want to cake on heavy foundation. Find out what our readers think about the best tinted moisturizers, and discover your next makeup must-have. Here's to major multi-tasking. I actually came online to investigate BB creams (I'm behind the times...finally starting to be curious about them), but this was a nice list! Thank you robyne00! I will not be trying any of these as I have red, sensitive skin everyday and don't need to add anything to my face or I'll break out. Ladies with fair skin beware tinted moisturizers. They will not match your skin and will simply cover natural undertones. Also, many women with sensitive skin will notice more frequent breakouts from tinted moisturizers. They are usually laden with ingredients, and many are unnecessary. I tried Laura Mercier and from my point of view, if you have nothing to hide, it is perfect for you. I have both good and bad things about the Laura Mercier, but I definitely still want to try it. Good, i'll wait until it hits the drugstores. Your Comment: In my quest for the perfect tinted moisturizer I have tried, in 9 months, over 18 highly promoted tinted moisturizers and "BB's" using samples as well as purchased products. There are soooo many on the market now! I was surprised to find out of these 14, I only tried 2! The Olay and the Laura Mercier. I'll make a point to try and get samples to see if any beat the one I have chosen from my testing. I especially want to try Becca . Looks like my quest is on-going! So far, the winner for me, unfortunately, is very expensive. It is Lancome's Re'nergie Eclat Multi-lift., It is a anti aging, firming product which has scientifically proven ingredients. It has everything in one! No need for a primer, pre-moisturizer, highlighter, etc. It truly does it all and improves your skin at the same time. Looking at it that way, I actually save money with this product. I found with most all of the others, I needed additional moisturizing. I noticed in comparing ingredients, Lancome had many more of the expensive oils than the others as well, thus, the price. This product makes my very dry skin look radiant, moisturized and luminized. It would be over-kill to use extra moisturizing with the Lancome product. I live in a very dry climate and it is tough to get enough moisture. There were a few other products I liked: Amorepacific (also very expensive and colors not quite as good as Lancome), Stila (more coverage, heavier), Elizabeth Arden(more coverage heavier, good colors). Almay makes a good product that adapts to skin tone which comes in a few shades. It is inexpensive. Of the products that are one shade and supposedly go with all skin tones when applied, I didn't try many of these, but I liked: Orgins and Dr. Jart (the one in the green tube). I have been using another great foundation, Elizabeth Arden's, Ceramide Cream make-up, which in 40 years, I have not found any better. Although it is a light product, which gives great coverage, I wanted something even lighter for daytime, which would improve my skin over time. I just wish Ceramides were in all facial products. What a difference they make! I still use it for special things evenings out. I just wanted something, a little less there, for during the day and that would improve my skin over time. I always pay more attention to the ingredients than the advertising and promotion of the product. I am not sure how this would work for oily skin. Best to get a sample first to see. For dry skin it is a fabulous find. There are 4 color shades. I have a medium, easily tan, complexion with yellow undertones and purchased the #3 first, but it would work only with a tan, so exchanged for the #2. Perfect! I found with most of the others, the colors were not quite as right for my skin. Some looked grayish and others orange-ish and dead-ish! This one is very forgiving and would go with several shades of skin. The # 1 would definitely be for fair to light-medium complexions. It took me awhile to spring for this purchase, but so glad I finally did it. I'll save on other things to compensate. For example; Mascara is a big thing to me so I save by buying drug store, Loreal Double Extend Waterproof and also the Voluminous Million Lashes Waterproof instead of wasting money on the high end brands. They work better than the expensive mascaras I have tried. I have always wanted, and sought the best of everything, at the lowest price. In most cases, it is not always about the highest priced item being the best quality, but, in this case it is. However, it is worth every penny to me. It is not easy for me to spend this much on this product. I just wish Lancome would also create a smaller size, to make this wonderful product more accessible to more women. Estee Lauder's Daywear Tinted Moisture is fabulous! Looks good , feels great and smells amazing!